The effective functioning of modern business in the current day and age is incomplete without taking into consideration its extended impact on society and environment. In this respect companies need to continuously revisit and analyse their green initiatives to keep them relevant and contribute positively to the global cause. This book chapter provides a capable framework for organizations to conduct temporal analysis of their green initiatives and enable them to reflect on their current positions and strategize their future course of actions. Further, we analyse the green initiatives of the Indian Hydrocarbon Industry leader: Indian Oil Corporation Limited (IOCL) and trace its green journey across defined time periods thereby depicting the use of the developed framework in addressing the gap of temporal analysis in the literature. It talks about considering “the ability of future generations to meet their own needs”. In this respect maintaining a healthy natural environment is one of the most important factors for future generations to come. In this light, businesses around the world need to constantly revisit their operations and devise strategic green initiatives to help maintain the natural environment around them. The present work is focused on the “green thinking” in businesses. “Green thinking” has gone through a major shift in the recent decades. While the decade of 60s and 70s saw firms dealing with huge environmental crises, the 80s was characterized by taking steps towards meeting environmental compliances set by the regulatory bodies and minimizing compliance costs (also called reactive approach). The decade of 90s saw firms taking a proactive approach towards the environment by “anticipating the environmental impacts of their operations, take measures to reduce waste and pollution in advance of regulation,” (Rondinelli, 1998, p. 39) and also identifying business opportunities through adoption of green initiatives (Rondinelli, 1998). 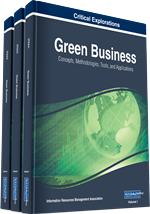 The motivation behind this book chapter was to develop a conceptual framework of green initiative by a firm. The second objective of the book chapter was to analyze the leading firm Indian Oil Corporation limited (IOCL), in the Indian hydrocarbon industry (an under-researched field) in the purview of the developed framework. In doing so the authors address the absence of temporal analysis of green initiatives in the extant literature. The authors specifically analyze the green initiatives of IOCL across three time periods- a) pre-2000, b) 2000-2007 and c) 2007-2015. Based on the analysis of the initiatives taken during this period along with the changes in the regulatory environment in the Indian Hydrocarbon Industry, the authors find that IndianOil was following a fit approach in the early pre-2000 era by complying with the necessary regulations. However, due to changes in practices in the business practices in the hydrocarbon industry post 2000 era, the organization redefined itself to adopt efficient practices across its core value chain which were internally driven and pro-environment and hence showed signs of stretch. This move was consolidated further in the 2007-2015 phase when the intensity of such initiatives increased further. Being responsible and ethical market leaders, coupled with increasing presence in the global market and being an integral player in the global hydrocarbon industry, they stretched themselves and adopted sustainability initiatives in non-core areas as well thereby making pro-environment operations an integral part of their corporate identity. The case study therefore serves as example to other firms to reflect their current positions and strategize their future course of action with the help of the suggested framework. By addressing the stated objectives, the authors contribute to a greater understanding of practitioners in their greening actions.